This is another high polish chrome lighter, made of brass. 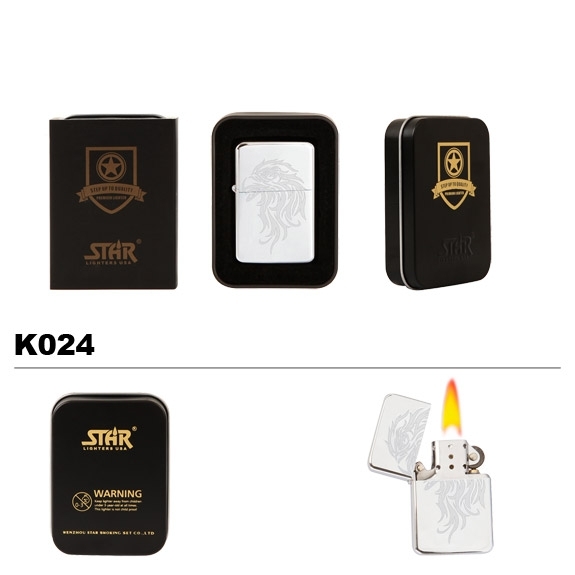 We have a huge selection of these high quality lighters in stock now, be sure to check them out! All of our wholesale oil lighters are refillable, wind proof and best of all have replaceable wicks and flints. All Brass Oil Lighters are sold individually with a lighter tin. These sell great in convenience stores, gas stations, truck stops, fairs, flea markets, malls and really just about anywhere.